Former Vikings wide receiver Marcus Robinson has announced he will retire as a Chicago Bear. Robinson spent six seasons with the Bears and was their fourth-round draft pick in 1997. He left Chicago for Baltimore in 2003 and joined the Vikings a year later, spending three seasons in a Minnesota uniform. He was cut by coach Brad Childress at the end of the 2006 season. Joining the Lions last year, Robinson missed the entire season with a quadriceps injury. 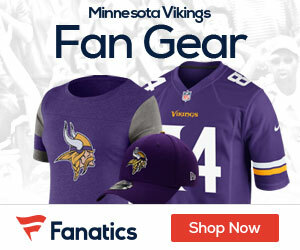 With the Vikings, Robinson had 107 receptions for 1,553 yards and 17 touchdowns.